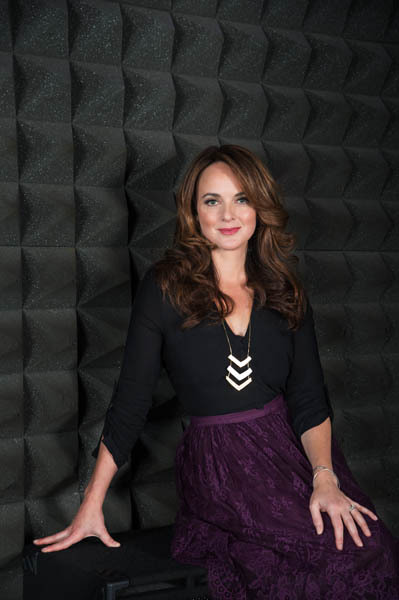 FROM THE BOWERY TO BILLIONS, MUSICALS TO MOTHERHOOD, IT SEEMS THERE’S NOTHING MELISSA ERRICO CAN”T DO! 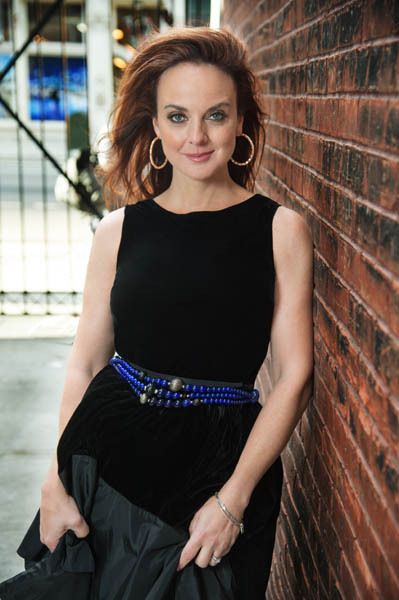 When I first started talking to Melissa Errico about her career, her life, and the work she’s been doing lately, she shared a story with me about a show she did at 54 Below in April 2014. The singer/actress—best known for Broadway ballads and soulful songs that demonstrate her spectacular vocals—came out onstage in sequined shorts and stilettos, opening the show with Chaka Khan’s “I’m Every Woman.” It was a playful departure from the performer that most of her fans have come to know and love, but it was clear to me, not long into the interview, that Errico is, indeed, every woman. Married to tennis legend Patrick McEnroe, who she first met at the age of five, with twin seven-year-old daughters and a nine-year-old daughter (“I went from no kids to three kids in two years,” she points out), Errico somehow manages to juggle being a wife, mother of three, singer, actress, recording artist, and community leader flawlessly. It’s tempting to resent these superpowers, but she’s also incredibly sweet and funny. She’s a bit of every female performer and every New York City mother all in one, with enough humility and humor to make her approachable and so very likeable. Case in point: the aforementioned CD opens with banter from Errico telling the audience that “the Easter Bunny forgot to come on Sunday, and the Tooth Fairy has been delayed a few times. There’s so many kids and so many teeth.” Then she launches into a flawless performance of “What About Today,” and just like that, she’s perfect again. Errico’s career began a bit fatefully, when, at the age of 18, she was auditioning for a role in the off-Broadway show George M! The director of The First National Company’s Les Miserables spotted her practicing her tap dancing in the hallway and noticed her talent immediately, along with what Errico describes as a “big mane of curls.” He asked her to audition for the role of Cosette and she was cast on the spot. She dropped out of Yale to tour for over a year with the production, then returned to Yale and graduated in three years. Errico was then accepted into the Yale Graduate School of Drama, but she dropped out to make her Broadway debut—playing Princess Kitty Scherbatssky in Anna Karenina—and then went on to play Eliza Doolittle in My Fair Lady on Broadway. Since then, it’s been a string of Broadway shows and leading roles, as well as numerous nominations and awards, including six Drama Desk nominations, the Lucille Lortel Award for Outstanding Actress in a Musical, and a Tony nomination for Best Actress in a Musical for her role in Amour. father played the piano at home and brought her up listening to Bill Evans, Rosemary Clooney, Sarah Vaughan, and Bing Crosby, among others—created a love of jazz and the American songbook that wove itself into her Broadway experience and led to her next role: performing artist extraordinaire. Shortly after playing the role of Tracy Lord on Broadway in High Society—a role, given her musical background and passions, she was born to play—Errico was signed to Blue Note Records and released her debut album, “Blue Like That,” which was produced by Arif Marin, the legendary producer who won 11 Grammy’s and worked with everyone from Aretha Franklin to Bette Midler, Roberta Flack, and Norah Jones. From there, the albums and collaborations flowed; she released “Legrand Affair: The Songs of Michel Legrand,” with multiple-Academy-Award-winner Legrand, produced by Phil Ramone. Legrand also wrote the music for Amour—his only Broadway show—which starred Errico and was the role for which she received the Tony nomination. In fact, Errico seems to have collaborated with every New York artist who falls under the genius category. She starred in Table, a musical written by New Yorker writer Adam Gopnik and Academy Award-winner David Shire (Gopnik, Errico points out, has dinner every week with Woody Allen), and then went on to again work closely with Gopnik because she “couldn’t help but be so taken with him.” Together, they wrote Errico’s one-woman autobiographical cabaret show, Sing the Silence, about the role of silence in women’s lives, and about “women being heard.” They debuted the show at Joe’s Pub in November 2015. Now, the two are writing a screenplay together. “Through him,” Errico says, “I’ve found a mentor in another avenue—writing is my secret passion.” Is there nothing this woman can’t do? The stage hasn’t been the only place Errico has felt right at home. She’s appeared on screen dozens of times in a wide range of roles—from playing Norm Macdonald’s girlfriend in the comedian’s 2001 sitcom to notable roles in TV’s Blue Bloods, The Good Wife, and The Knick. Now, audiences are eagerly awaiting her next silver screen project, the role of June in Showtime’s Billions, starring Paul Giamatti and Damian Lewis. The show premieres January 17, and is the provocative story of New York’s financial world. Melissa clearly has some favorites. She mentions Lafayette (380 Lafayette Street) several times, saying that “My kids and I were eating there recently, and we didn’t even know food could taste like that.” She goes on to say she loves everything Lafayette chef Andrew Carmellini is doing, and points out that he’s now the chef at The Public Theater (a regular venue for Errico’s performances, and the location for our photo shoot). The Blue Note, she says, is another neighborhood must. “You have to have a date night at the Blue Note and catch Chris Botti. He has an annual residence there and it’s so special.” And of course, the Public Theater/Joe’s Pub is a favorite, but that pretty much goes without saying. Melissa Errico, husband Patrick McEnroe, and their three daughters (who they call fairies) are as downtown New York City as it gets. They moved into a converted chocolate factory in NoLita (before it was called NoLita) in the early days of their marriage, and would run into David Bowie in the elevator. Iman, also a neighbor, would give Errico advice. They recently moved into another apartment in the neighborhood, along with their beloved Yorkie, Pepper. The Errico/McEnroe clan is all about being a part of the neighborhood, interwoven with the community, not as celebrities, but as friends and neighbors. In fact, Errico started Bowery Babes, a non-profit dedicated to providing resources and support for women throughout the stages of motherhood. It recently celebrated its tenth anniversary, and is a thriving program involving thousands of women. However, it all began humbly and sweetly, when Errico was pregnant with her first child. While taking a prenatal yoga class at Lital Yoga (302 Bowery Street), she discovered that 12 women in the class were all due with their first child on the same week. They came from every culture, religion, profession, and background, but all shared this one significant trait. In true Errico nature—a collaborator, connector, and friend—she invited them to lunch, which turned into an email list, a yahoo group, a 75-member group within a month, and a full-blown non-profit in 2009. Bowery Babes not only connects downtown mothers of all backgrounds with each other, but provides resources, information, and opportunities to any women in the community who want to be involved. Errico is passionate about it—after all, her role as a mother is clearly her most important one—and it’s evident that countless Bowery moms have benefited from this passion. Melissa Errico and Patrick McEnroe are each two halves of one very successful, very impressive couple. Raised in Manhasset with older brother John, McEnroe began playing tennis at a young age, and went on to win the French Junior doubles, help his Stanford University team win the NCAA team championship twice, and subsequently join the professional tour. He won the ’89 French Open Men’s Doubles, in 2000 was named the 38th Captain of the U.S. Davis Cup Team, and in 2004 served as captain of the U.S. men’s tennis team at the Summer Olympics. Along the way, he married Melissa Errico (in 1998) and became a father of three. And if that’s not enough, he hosted a radio show (“The Patrick McEnroe Show”), published a book in 2010 (Hardcourt Confidential: Tales from Twenty Years in the Pro Tennis Trenches, Hachette Books), and continues to serve as a tennis commentator for ESPN. McEnroe was on hand while we interviewed and photographed Melissa; naturally, we seized the opportunity to chat with him. Pamela Jacobs: You’ve done a lot of TV for years; have you and Melissa ever thought about working on something together? And do you give each other advice on performing? Patrick McEnroe: Well I can’t sing or dance, but I have told Melissa that we should do our own TV show—so the short answer is ‘yes.’ We do different things but there are, of course, some similarities. That is part of the strength of our relationship. I know the ups and downs of being a player and losing and having to deal with that; she knows the ups and downs of her world. There are similarities in preparation and focus, the dedication it takes to walk out on the stage every night, or what I did as a player and an announcer. When we first met [again], I was at the tail end of my playing career and was going through a transition, and Melissa was really helpful in getting the next stage of my career going. And when she did High Society on Broadway, I was there 47 nights in a row supporting her. We’ve always supported each other and worked together in that way, and we feed off of each other, and have grown together. PJ: With such busy careers, do you have a system for handling it all so well while being parents of three? Is there a secret? PM: I call Melissa the master organizer. She is the brains behind the operation, and is an unbelievable organizer and emailer. Back when I was working for the USTA, I didn’t have as much time; now I am in a transitional time, so I am around a lot more. I’m enjoying my life right now because I can take my older daughter to tennis and be even more involved with them. It is not always easy. In January I leave to go Australia for 17 days, but over the years we have learned how to adjust and balance and work together. PJ: And I can tell you’re both very involved as parents. PM: Yes, we are always involved with our girls. Sometimes it’s hard for us to go out and get dinner for an hour, just the two of us, but they’re in school now and can do more things for themselves. So now is a good time for Melissa to be able to focus on her career. PJ: Are you very conscious of not putting pressure on your kids and letting them find their own way? PM: Absolutely. Especially when it comes to tennis. I am very sensitive with Victoria, who is really into tennis. I will support her as much as I can, but I am sensitive to that side of it. When I was about ten years old, my dad got upset with me one day when I was acting up on the court. He said, ‘I don’t care if you win or lose—I care what your attitude is. If you quit tennis tomorrow, it makes no difference. I am your dad and I love you.’ I remember that and I take that to heart all the time. PJ: Melissa is so connected to the neighborhood through Bowery Babes; do you have a real sense of connection to the neighborhood and community as well? PM: Does playing Santa every year at the Bowery Babes party and being a chicken at the Halloween party count? It’s been a real pleasure to see it evolve over the years. Melissa has spearheaded the whole thing and I’ve been along for the ride, and it’s amazing to see the effect Melissa has had on so many people. Of course we love where we live, but even more than that is the effect the organization has had on people. I can’t tell you how many times I was at a Bowery Babes party and other fathers pulled me aside and said ‘you have no idea how this has positively impacted my wife.’ Bowery Babes is a real community; it evolved because of Melissa’s passion for it—to see that it’s still going and the impact it’s had on the neighborhood is great.